The most wonderful thing happened yesterday. I met a kindred soul. Elation filled my being as recognition dawned and I smiled from ear-to-ear. “What are you grinning for?” asked the L & M, the Lord & Master for the newbies. The L & M was flummoxed. The mystery deepens, does it not? Well, let me explain. 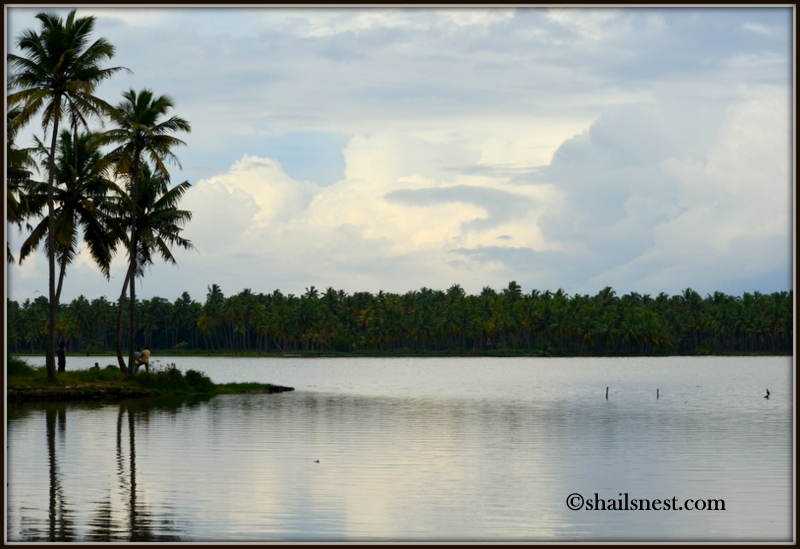 Yesterday, the L & M and I went on a drive to a place called Murukkumpuzha. We had not sought Google’s help, instead depended on our own ingenuity to find the way to our destination. This actually meant that when the road bifurcated anywhere on the way, the L & M would choose one at random. And then we’d inevitably have to stop to ask for directions. It happened this way yesterday. Before I could utter a word, the L & M had entered the lane to the right for no logical reason that I could see. “Really?! This one? !” I asked him doubtfully. Without Google’s authority to back me up the question came out as a bleat rather than the firm one of disagreement with his choice it was meant to be. Fortunately he stopped to ask the way not too far ahead. A gray haired dapper chappie was about to enter the gates of his house when the L & M hailed him. He turned to us with a smile on his face, ready to help. “Go straight for a while longer and take the first turning to your left” the man said smartly waving his hand to the right. “You mean right?” the L & M interjected, but the man did not hear him and continued giving us directions. We thanked him and moved on, which is when the L & M found me grinning and wanted to know the reason. “Didn’t you notice how he said ‘left’ when he meant ‘right’?”I smiled. All this time I had been miserable thinking I was all alone in this world, a freak of nature who did not know left from right or for that matter right from left. At last I had met one just like me. Emboldened by the discovery dare I hope more of us exist? We, the L & M and I, reached Murukkumpuzha Ferry soon and enjoyed the scenic beauty of its surroundings before the rain forced us back inside the car and on our way home. But nothing could dim the glow of quiet happiness of having seen a hand wave right while the mouth said left. I smiled broadly reading this. Just wonderful! She thought she was the only one afflicted with this blight! haha.. I have that confusion in my mind most of the times. When you speak to a person on a phone and ask for directions – what works – go straight, turn left, then right? or go north few blocks, then east, then northwest? if yours is the voice in the Google maps site. Hahaha…we do this in our yoga class…the teacher stands in front of us and lifts up his right leg and asks us to lift our left leg up!But we lift our right one! This was a very clever story. It made me smile because directions are my weakest point. Enjoyed this very much. 🙂 Quite a plight for both the seeker and the finder!